The Tyrolia Adrenalin 13 is the perfect option for freeriders who prefer precise downhill control combined with ideal mechanics for hiking. That's everyone right? The AAA-Ascender lock makes transitioning from skiing to hiking incredibly fast and easy. Simply use the tip of the ski pole to change from ski to hike mode. The climbing aid can be positioned at 0, 7, and 13 degree positions. 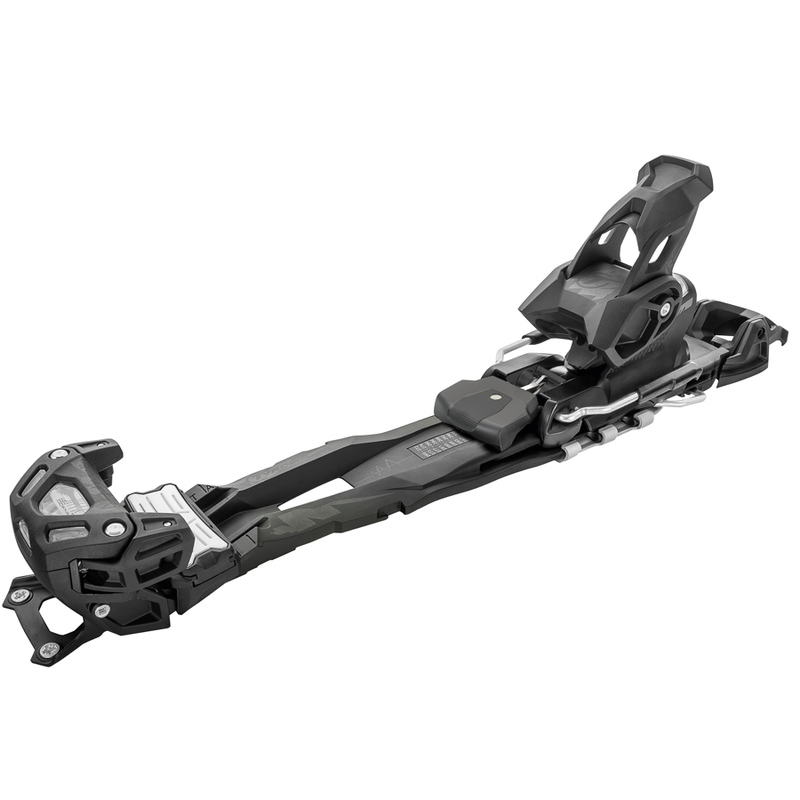 Freeflex technology allows the ski to flex as it is designed to do. The combination of the performance driven freeski features and ergonomic walking mechanism for short uphill hikes make the Tyrolia AAAdrenalin 13 the essential binding both on and off-piste. The FR Pro Toe allows for more stability, more direct power transmission, and an ultimate skiing experience. The ergonomic pivot position allows for optimal tilt up movement up to 90 degrees. This toe piece allows for standard and alpine touring boot norms. Extra wide heel track makes all the performance difference for a stable and reliable, perfect force transmission.